Baa Baa Black Sheep Nursery Rhyme – sentence rebuilding and reading activities. Concept Books – What Do You Suppose? – Printable book to match the rhyme. Little Miss Muffet. 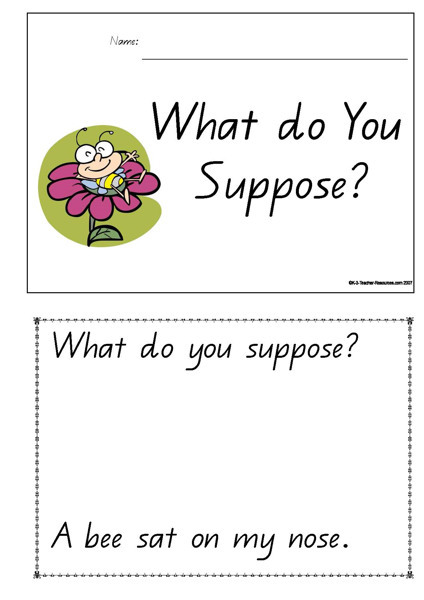 Printable shared reading, sentence and word rebuilding activities. Simple Simon Nursery Rhyme – Printable shared reading chart, sentence and word rebuilding activities. A printable rhyme to use in the classroom when learning how many days are in each month. 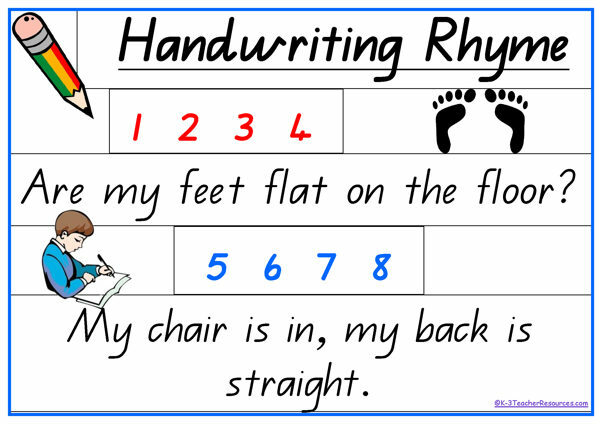 Handwriting Rhyme – Ideal for Classroom display, song box and literacy sentence reconstruction. Easter Poem – When I Think Of Easter – Short Poem Ideal for Literacy Activities and Sentence Reconstruction. 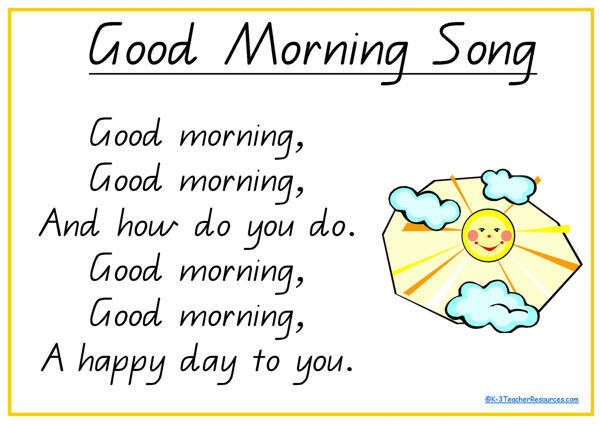 Nursery Rhyme Activities – Jack and Jill Lyrics and Sentence / Word Rebuilding Activities….. Includes: A4 full rhyme page, Large Print pages, Large Print sentence/line cut out pages, Large Print word cut out pages. 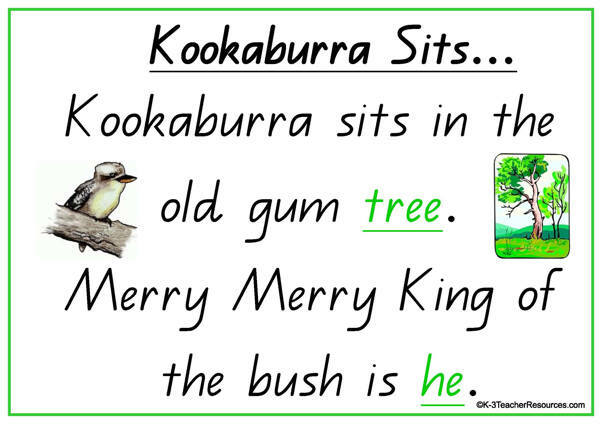 Songs, Poems and Nursery Rhymes- Kookaburra Sits in the Old Gum Tree Lyrics and Sentence / Word Rebuilding Activities….. Includes: A4 full rhyme page, Large Print pages, Large Print sentence/line cut out pages, Large Print word cut out pages. 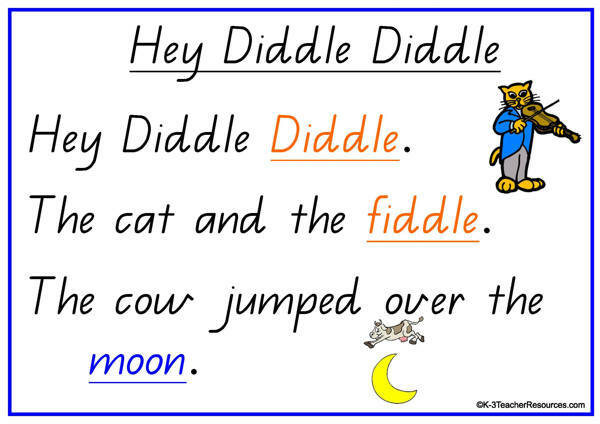 Nursery Rhyme Activities – Hey Diddle Diddle Lyrics and Sentence / Word Rebuilding Activities….. Includes: A4 full rhyme page, Large Print pages, Large Print sentence/line cut out pages, Large Print word cut out pages. 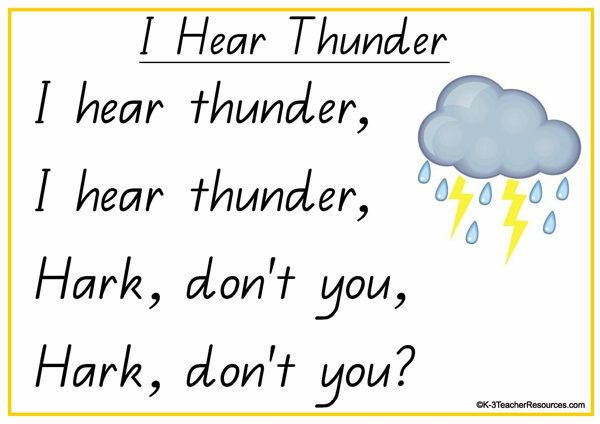 Songs, Poems and Nursery Rhymes – I Hear Thunder, I Hear Thunder Lyrics and Sentence / Word Rebuilding Activities….. Includes: A4 full rhyme page, Large Print pages, Large Print sentence/line cut out pages, Large Print word cut out pages. Songs Poems and Nursery Rhymes – Reduce, Recycle, Reuse Rhyme Lyrics and Sentence / Word Rebuilding Activities….. Includes: A4 full rhyme page, Large Print pages, Large Print sentence/line cut out pages, Large Print word cut out pages. Mummy Kissing Santa Claus – This funny Christmas song is ideal for making large rhyme charts, and cut and paste sentence reconstruction activities. A set of School is Cool Rhyme posters for making up large rhyme charts and reconstructing sentences. Mother’s Day Poems for Children – Printable Mother’s Day poem – ideal for making up large rhyme charts, and cut and paste sentence reconstruction.